Bo Wandschneider is the CIO at the University of Toronto. 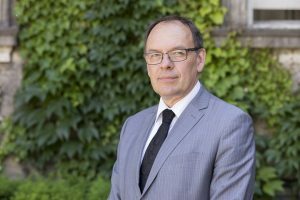 He has been in Higher Education for 30 years having also worked at Queen’s University and the University of Guelph. Bo has a MA in Economics and began his journey into technology in the early 80’s working with the digitized versions Agricultural Census’ of Upper Canada. Bo embraces collaboration within the campus environment, but also across institutions, having worked on many shared initiatives. Bo currently serves of various committees and advisory groups including, Research Data Canada, The Portage Advisory Committee, NRC’s Research Information Technology and Advisory Committee and the CUCCIO Board.